Week 3…In my kitchen… | Retired? No one told me! Welcome to Week 3 in my kitchen and has it had a spring clean this last week…Still, one big cupboard to go…I tackled the kitchen gadget draw yesterday you know the one which has the bottle openers, measuring cups and other bit and pieces…Yes, that one! That was my kitchen disaster of the week…But one’s grandson cut the burnt bottom off and declared the banana bread was my best one yet! Who would have thought? Mash the bananas and add the eggs…I put mine in the food processor. Then add all the other ingredients except for the nuts if using and then stir in the chopped nuts. Cook in a prepared dish or loaf tin on 180F/350C degrees for 50-60 mins. My other WIP is Chicken Passandra a dish I first ate many moons ago in an Indian Restaurant and have never cooked…I followed the recipe exactly and I think I told you that it was ok for me..not great although the men ..loved it! Although sometimes I do think men rather than offend just say it was good. Heat 2 tbsp of the ghee and add the onions cook stirring for 1-2 mins and then add the cinnamon and cardamon pods cook for about 5-6 mins to release the flavours stirring so as not to colour the onions. Add ginger and garlic and cook for a further 5-6 mins, stirring. Then add turmeric, coriander powder and chilli cook for a further 1 minutes. Now turn up the heat and start to stir in yoghurt 1 tbsp at a time mixing properly before adding the next tbsp until all the yoghurt is added you will now have quite a thick roux type sauce. Add the tomato puree. The sauce should now be quite a bright orange colour. Now add hot water to make a thinner sauce, stirring and adding gradually. Bring to the boil and then reduce to a simmer and cook for 20 minutes. The taste and add salt to season. Meanwhile, toast the almonds in a pan and set to one side. Heat the remainder of the ghee and cook the chicken until it just turns white. Add the chicken and almonds to the sauce and cook until the chicken is cooked. The sauce should now be thick and creamy with patches of that lovely orange oil on the top. Remove the cinnamon and the cardamon and garnish with coriander to serve. Cooks Note: Rather than reduce the sauce, even more, I added some ground almonds to thicken the sauce which also enhanced the almond flavour which is what Passandra is renowned for. This second Passandra was much like I remembered it to be …I also forgot to take a final picture…Next time as I will be making it again I will try to remember… Although it isn’t the spiciest of curries and quite mild it is tasty and ideal for those who prefer a milder curry. Until next Friday…Thank you for reading this I hope you are enjoying an insight into my kitchen here…Today it is mega HOT again and having had a Tom Yum with salmon and ramen noodles I am full and want something easy to make, as we have little Lily and her friend from the village it will be spag bol as it is not something they get to eat in the village so a treat for them and a straightforward dish for me. This entry was posted in Carol Cooks2, Chicken Passandra, Cook from scratch, Uncategorized and tagged Authentic Indian Food, Banana bread, Chicken Passandra, Cooking from scratch, Home made on January 18, 2019 by CarolCooks2. 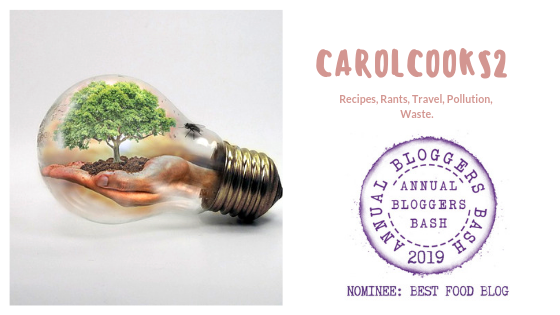 Pingback: CarolCooks2…My weekly roundup… | Retired? No one told me! I’m always looking for a good recipe. Thanks for sharing. Thanks. I post a recipe every once in a while on my site. Thanks again. I fixed my gravatar issue. The banana bread looks great and bravo for the resourcefulness of your grandson. Thanks for the mention and I do hope you like the lentil recipe. have a great weekend!! I have had disasters with my banana bread too, Carol. Not with burning it but rather with it sinking in the middle. Thanks Carol, yes it is usually the sugar content when it sinks. I amended this recipe and add less sugar now. That Chicken Passandra dish looks great – will be making it for my wife next week! I will share it when I do! Sounds very yummy! I regret the problems with the oven. Have a great weekend, Michael. Lol! Have a great weekend too, Carol. I’ve never made banana bread but this one sounds pretty straightforward. I understand the problem with the oven. In the city in Afghanistan I had one like that (made in China) with a calor gas bottle and a thermostat that went from hot to hotter and no regulator. Carol Taylor has been decluttering and also trying out or perfecting her recipes and today you get the benefit of her banana bread and a fabulous Indian chicken curry.